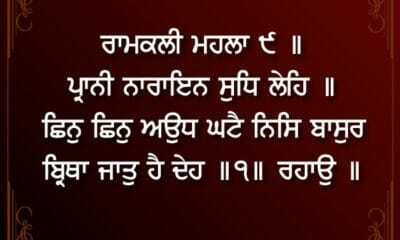 Har Kia Katha Kahania is sacred bani of Guru Ram Dass Ji from Shri Guru Granth Sahib Ji Ang 725. In Har Kia Kath Kahania Guru Ram Das Ji Says ‘The Gospel of the Lord is uttered to me by the Guru-friend. Sacrifice am I unto the Guru: unto the Guru I am a Sacrifice, a myriad times. My Beloved Guru tells me the tales of God. 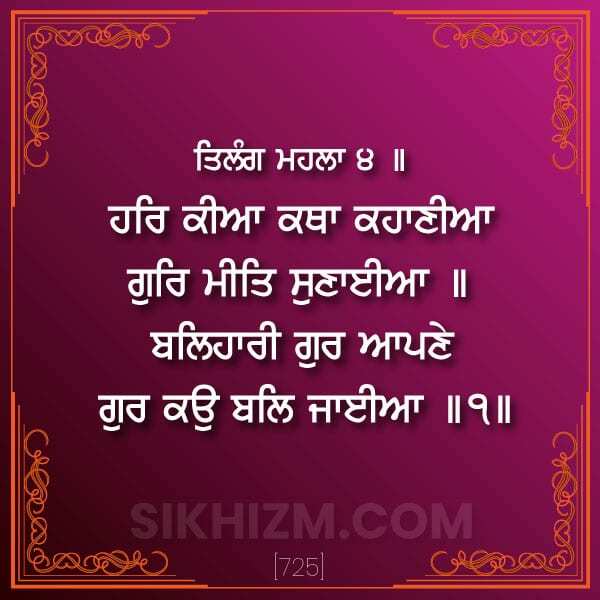 The virtues that please the Lord from the Guru I imbibed. I would give my life for them who have my Guru seen. Lord! Your Name is reliever of pain. 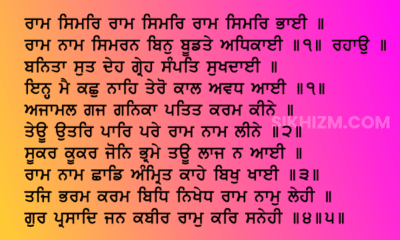 This Post is a Part of Daily Hukamnama from Darbar Sahib, Harmandir Golden Temple Amritsar.